If you're a beauty lover, you probably indulge in sheet masks at least occasionally to moisturize and nourish your skin. The problem is that you have to invest 10 or more minutes applying them. 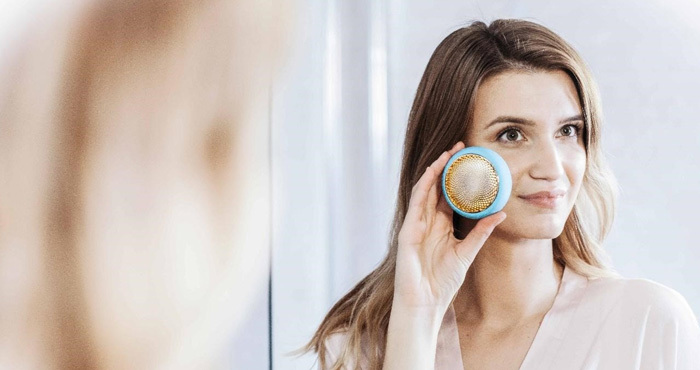 With the Foreo UFO, the whole process takes 90 seconds and the experience feels like you're at a spa. The Foreo UFO is a sheet mask applicator that works with specially formulated heat-activated masks. Secure the mask to the UFO, select the treatment and the UFO takes care of the rest as you move the device over your face and neck. The device cycles through a combination of heating, cooling, sonic pulses and red LED light therapy during the mask application (see it in action in my hands-on video). A variety of masks are available (starting at $9.99 for seven masks), including brightening, collagen and hydrating. In addition to the UFO, Foreo makes a UFO mini, which is smaller and doesn't have the cooling technology.